VietPress USA (June 13, 2018): California is a state in the Pacific Region of the United States. With 39.5 million residents, California is the most populous state in the United States and the third most extensive by area. The state capital is Sacramento. The Greater Los Angeles Area and the San Francisco Bay Area are the nation's second- and fifth-most populous urban regions, with 18.7 million and 8.8 million residents respectively. Los Angeles is California's most populous city, and the country's second-most populous, after New York City. California also has the nation's most populous county, Los Angeles County; its largest county by area, San Bernardino County; and its fifth most densely populated county, San Francisco. California's $2.8 trillion economy is larger than that of any other state. If it were a country, California would be the 5th largest economy in the world, and the 36th most populous as of 2017. The Greater Los Angeles Area and the San Francisco Bay Area are the nation's second- and third-largest urban economies ($1.2 trillion and $821 billion respectively as of 2016), after the New York City metropolitan area. The San Francisco Bay Area PSA had the nation's highest GDP per capita in 2016 (~$94,000), and is home to four of the world's ten largest companies by market capitalization and four of the world's ten richest people. California is considered a global trendsetter in popular culture, innovation, and politics. It is the origin of the film industry, the hippie counterculture, the Internet, and the personal computer, among others. The San Francisco Bay Area and the Greater Los Angeles Area are widely seen as the centers of the global technology and entertainment industries, respectively. California has a very diverse economy: 58% of the state's economy is centered on finance, government, real estate services, technology, and professional, scientific and technical business services. Although it accounts for only 1.5% of the state's economy, California's agriculture industry has the highest output of any U.S. state. (Wikipedia). California residents will get a chance to vote on a measure to divide the Golden State into three separate states, election officials said Tuesday. Proponents of the CAL 3 initiative submitted more than 402,468 valid signatures as of Tuesday, making it eligible for the Nov. 6 general election ballot, according to the California Secretary of State’s office. The office did not say exactly how many total signatures were submitted, but backers said the petition drew more than 600,000 from residents across the state’s 58 counties, dwarfing the 365,000 signatures required to qualify for the ballot. Adding the initiative to the ballot would be the first step in a long process that would ultimately require approval from Congress. The proposal, led by venture capitalist Tim Draper, would split the country’s most populous state into three new states of near-equal population: Northern California, California and Southern California, according to the proposal. Northern California would include cities between the Bay Area and the Oregon border. 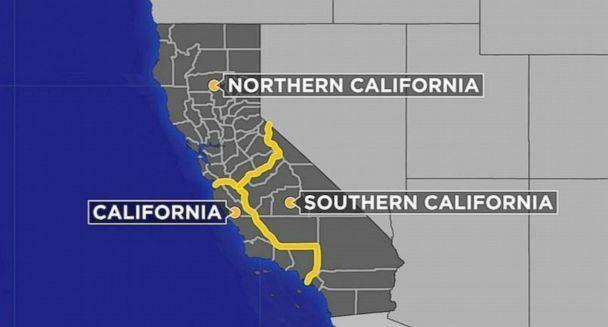 Southern California would begin in Fresno and cover most of the southern state. The "new" California would cover Los Angeles County and much of the coast below San Francisco Bay, the proposal said. Draper proposed similar measures in 2012 and 2014, but those efforts failed after election officials invalidated many of the signatures collected. 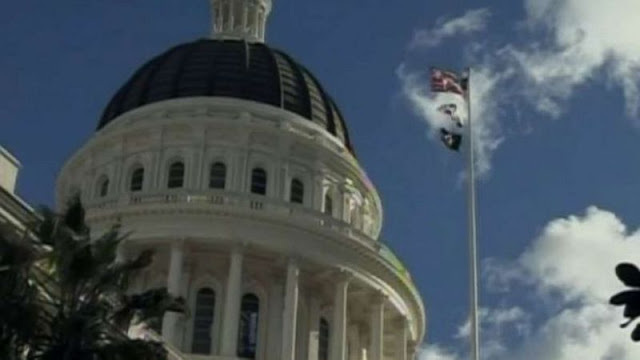 “The unanimous support for CAL 3 from all 58 of California’s counties to reach this unprecedented milestone in the legislative process is the signal that across California, we are united behind CAL 3 to create a brighter future for everyone,” Draper said in a statement in April after the signatures were collected. Draper says the spilt would create three separate governments, boost education and infrastructure, and lower taxes, but critics claim it could do more harm than good.